Interested in learning more about Taoism and how it relates and differs from Buddhism, Lao Tzu’s Tao Te Ching has been on my reading list for the past year. While the text’s true authorship and date of publication are debated, according to tradition The Tao Te Ching was written by Taoist sage Laozi (or Lao Tzu, “Old Master”) in China around 600 BC. 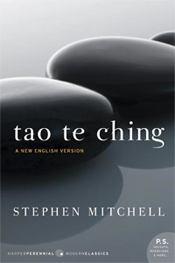 There are numerous translations of The Tao Te Ching; I settled on Stephen Mitchell’s English translation which is available on Amazon, free online, or as an audio book download from iTunes. Surprisingly short, I listened to the audio book version several times over the weekend and was struck by three verses that seem to ring true during the ongoing Iraq war, current U.S. economic crisis, and the role of the United States, China, Russia, and aspiring countries in the Middle East. Perhaps there is some 2,600 year old wisdom to draw on here? From the Tao Te Ching: A New English Version by Lao Tzu and Stephen Mitchell. as the shadow that he himself casts. it will be a light to all nations in the world. yet people prefer the side paths. Be aware when things are out of balance. Stay centered within the Tao. Interested to know your thoughts. I hope you like the new design. 2. TrendMedia office. This year TrendMedia made the leap from home-based business to a office in downtown San Francisco. While web developers can work from anywhere, I admit it’s nice to work more directly with others and to have a place to call “there”. 5. Birth of Miles Prescott Grover. Born Tuesday, September 4, at 7:58 am. Congratulations to friends Traci and Jojo! Miles’ blog. 7. Meditation class at IMC. The most significant thing I did for myself this year. Surprise. It’s not triathlon or technology related. 8. GTD. Consider me late to the party. David Allen’s book Getting Things Done: The Art of Stress-Free Productivity came out in December 2002 but I didn’t get around to reading it until this year. In fact, I cheated and downloaded the audio book from iTunes. Applying the GTD principles and Merlin Mann’s Inbox-Zero approach has given me a framework for getting more done with less stress in every area of life. 10. Christmas in Chicago. Spending time with family. What’s more important? 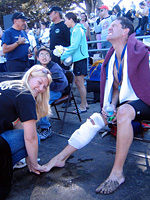 What were your highlights in 2007? Looking for some inspiration for the coming year. Wishing everyone a Happy New Year and great 2008! 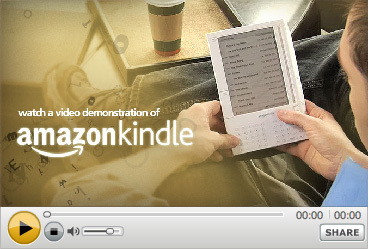 Today Amazon introduced the Kindle, a lightweight and powerful electronic book reader that features a new display technology that reads much like paper. Three years in the making, the Kindle has built in wireless connectivity and can display books, electronic newspapers, blogs, or just about any type of syndicated content. Weighting 10.3 ounces, the Kindle weighs about the same as an average paperback yet holds approximately 300 titles and retails for $399, about the same as a high-end cell phone or 2-3 college text books. Is this the beginning of the end for paper bound books? Read more at Amazon. to be exact. No damage here but it was certainly felt across the twittersphere. below of the shake map. Above is a video from Google demonstrating how to setup IMAP email on the iPhone. The primary advantage of IMAP (Internet Message Access Protocol) over POP (Post Office Protocol) is that IMAP maintains the state of messages across email clients. For example, if you delete an email at Gmail.com, then that email is automatically deleted from your iPhone and vice versa. This means that you never have to deal with the same message twice and can save a lot of time when it comes to filing and deleting messages. With IMAP, folders are also synced across email clients. When you switch to Gmail IMAP, the Gmail spam folder will appear on your iPhone. This allows you to flag messages as spam directly from your iPhone, something you couldn’t do previously with POP. Follow the video above or these simple instructions to make the switch. Is been only a day since Apple released OS X Leopard and already hackers have found a way to install Leopard on PC. Not for the novice PC user and most certainly illegal, the hack makes use of a modified install CD. Hackers say the install is still experimental and things like sound, video settings, and wireless will most likely not work until new drivers and system workarounds can be developed. (At the current rate, I predict this will be a matter of days.) Details at DailyApps.net. Don your polyester pants and John Deere hat and saunter over to the Great American Music Hall this Sunday at 7:30 PM for a little Southern Culture on the Skids (“SCOTS”). For those “undst-familiar”, the SCOTS sound is best described as surf-a-billy, a mix of rock, surf guitar, and “y’all guessed it”…hillbilly. Always a zany lowbrow time, tickets are still available. $18 total — a true surfabilly bargain. 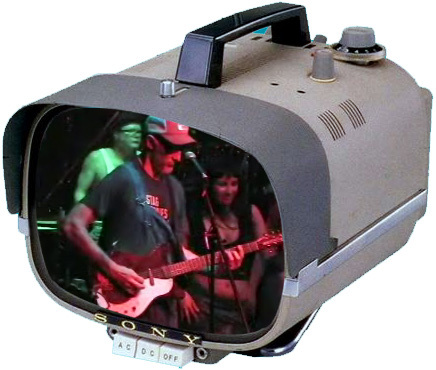 View videos from recent concerts, the Conan O’Brien Show, or sample SCOTS music online (more on iTunes). If you work in technology or a related field and are not Twittering, start. If you own a small business, be sure to reserve your business name on Twitter immediately; like your URL, it’s important that you claim your business name before someone else does. (Some organizations on Twitter.) Not updating your company site or blog as frequently as you should? Twitter. It’s the easiest way to start micro blogging and to stay top of mind with customers and colleagues, at the same time in a relaxed and social way. Want to know what others in technology and design are doing, eating, thinking about, or where you can join them for a beer at this very moment in time? Follow them on Twitter. What should you be doing now? Twittering. I won’t waste any more of your time so you can get started. Oh yeah, and if you’re on a Mac install Twitterrific.